As winter is approaching, days are getting shorter and we have less and less sunlight to enjoy outside. There is no need to panic, though, life does not stop even if days are cold and dark. Check out our list of baths that are open well into the evening and await visitors with longer opening hours or, occasionally, with all-night programmes, to help survive those winter months. This bath is the perfect choice if you feel like taking a quick dip after a long day at work – reports travelo.hu. 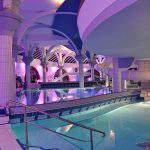 They are open until 8 pm most nights and you can enjoy all the facilities including the spa and the thermal- and sauna sections. 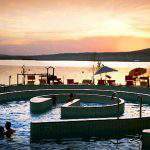 You can also go on the slides, enjoy the whirlpool or get a back and waist massage in the bubbling waters. 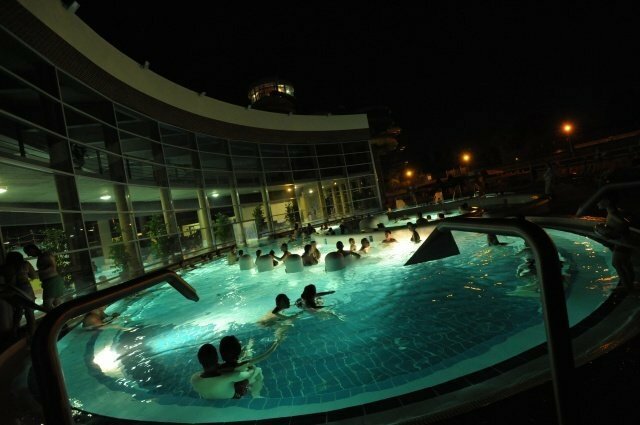 There is also a spa section outside, where you can sit in the 38-degree jacuzzi and enjoy the stars of the night sky. Occasionally, there are pool party nights organised, when they are open until 1 am and provide music for your entertainment. This thermal bath is open until 8 pm every night, so you can absolutely arrive after sundown and still get ample time to relax or swim a bit. 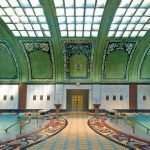 They offer thermal baths inside and outside as well, and there is a training pool where you can swim laps if that is what you need. If you just pay about 500 HUF extra (1.55 EUR), you are free to try the various saunas including a steam sauna, a log sauna and a Finnish blue sauna. You also have the chance to try the ‘Kneipp Cure’ or the infra sauna. This month, on November 24th, you can stay until midnight as a night swimming event will be organised (more here). 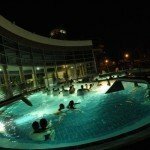 This is one of the most unique spa experiences you can have, and even though they close at 7 pm on most nights, pool parties are frequently organised that last well into the night. 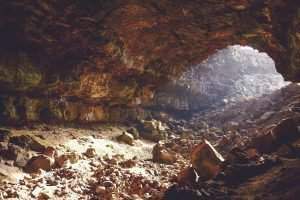 In the cave, there are two thermal pools. 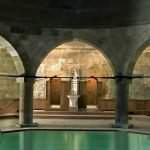 Besides these, visitors can try the so-called Roman room, Starry room or the Old cave pool. 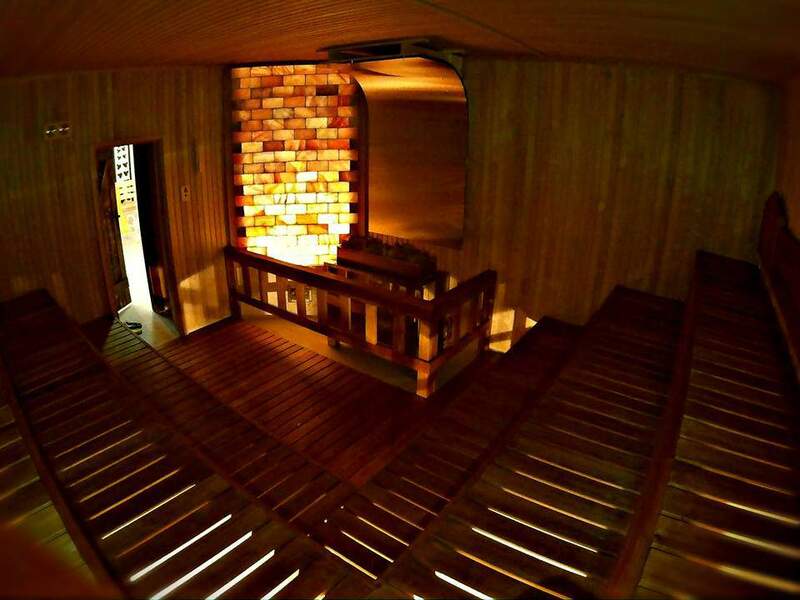 There is also a ‘sauna world’ for the lovers of saunas, with four Finnish saunas, three infra cabins and a steam room. This thermal bath has very appealing opening hours. From Monday through Thursday, visitors can stay until 8 pm. On Fridays, they are open until 9 pm while on Saturdays, pool nights are organised when the bath is open until midnight and guests can enjoy all pools and saunas. 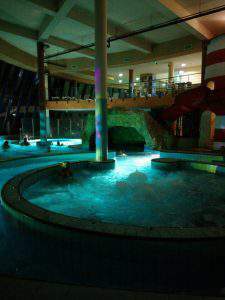 An extra speciality of these nights is a sort of light therapy experience, when over ten thousand light bulbs light up the thermal-, spa- and children’s pools, in a variety of colours. 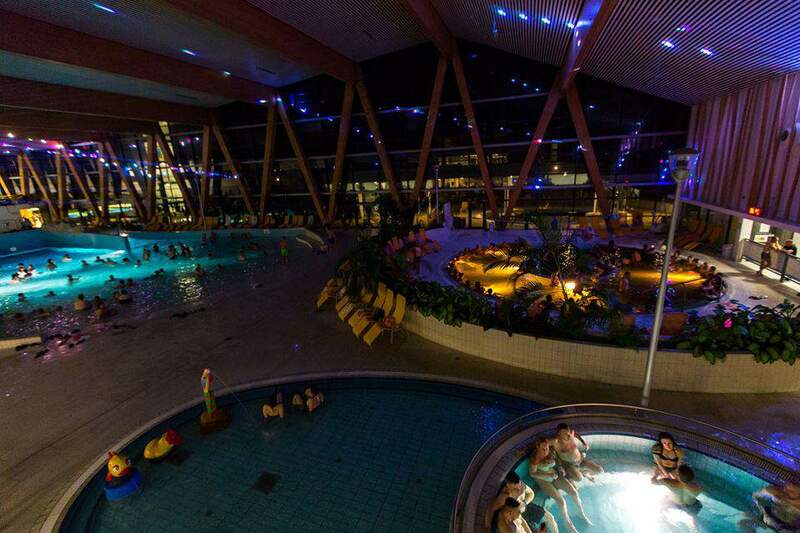 The Napfényfürdő Aquapolis in Szeged awaits visitors on weekdays until 9 pm and at the weekend until 8 pm. They offer a ‘Quiet Wellness’ section where those interested are offered sauna sessions with a unique atmosphere and some music. 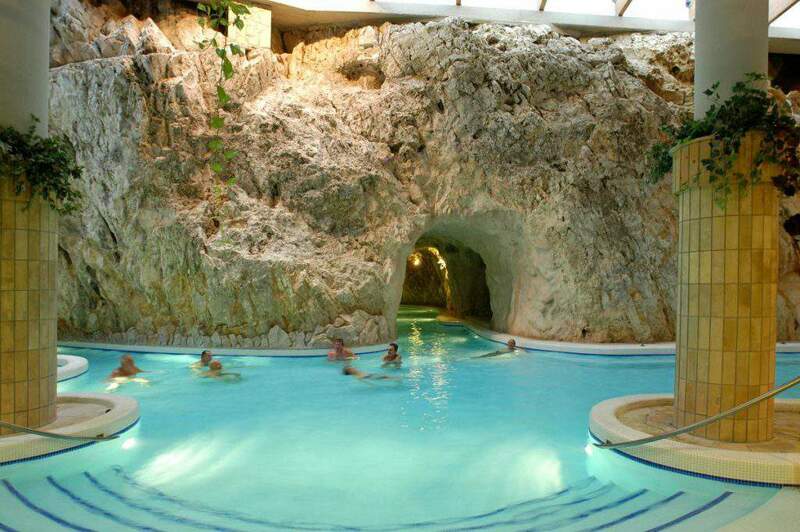 They also have pools with an outside partition, so you can marlóvel at the night sky from a thermal bath or a jacuzzi. They are open every night until 9 pm and organise a night pool party every month – the next one is December 7th, be prepared. 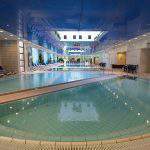 Visitors can enjoy thermal pools inside and outside and there are slides, jacuzzis, a 25-metre swimming pool and a panorama pool, too. 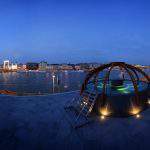 If you love saunas, you will not be disappointed, either – you can try a Finnish sauna, a steam room as well as an aroma room. 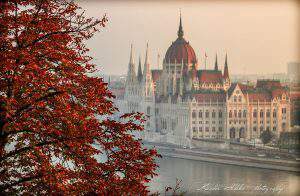 For more news, check out this article about the new wellness centre that has opened in Northern Budapest.